I am so excited for the festive season, it’s such a wonderful and feel-good time of the year. I am looking forward to seeing all the decorations, Xmas movies, spending time with my family and friends, and buying lots of gifts for my loved ones. You know the saying? “Good things come in small packages.” Well, stocking stuffers may often be small in size but that doesn’t mean they won’t bring big smiles to your loved one’s faces. I know that finding the perfect Christmas stocking fillers (especially for men) can be tricky, however, I don’t think you can really go wrong with buying someone a gift that they can use every day. This year I plan to create a few gift guides on the blog so be sure to occasionally check back for some gift-giving inspo if you find yourself stumped for ideas. For the beauty addict who loves her pampering sessions, Nu Skin Nutricentials Celltrex Ultra Recovery Mask is a standout holiday beauty gift all women will love! 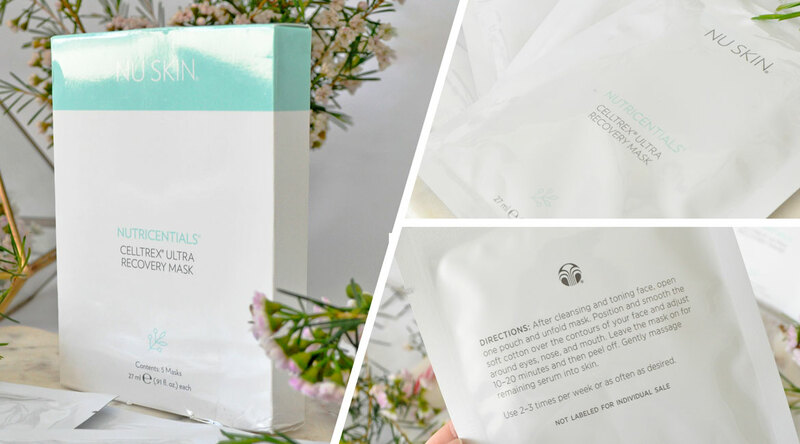 No need to settle for just one cotton sheet face mask when you can get five in the pack. This lightweight mask is soaked with powerful ingredients that help restore and revitalise your complexion. Key ingredients include Shea Butter: moisturises and improves skin’s ability to maintain moisture, Agave Extract: helps calm and soothe agitated skin, Hollyhock Extract: provides antioxidants to protect skin from free radicals, Caffeine: gives skin a more energised appearance, and Botanical Blend: helps protect the skin from environmental stressors. No matter how dry your hands are, this cream is bound to fix it! 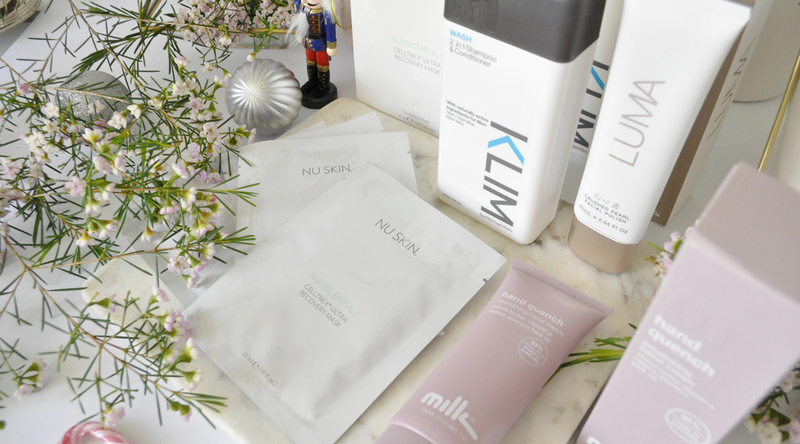 Hydrating and nourishing, Milk & Co Hand Quench will keep your hands healthy and smooth all day long. Containing 95 per cent naturally derived ingredients with fast absorbing Sesame Oil to penetrate the skin, along with the goodness of Cocoa Butter and Vitamin E to improve skin elasticity. Shea Butter will deeply moisturise and encourages healing and skin renewal. Cedrus Atlantica Bark Oil acts as an astringent and antiseptic agent for dermatitis and excessive oil. It glides on effortlessly and quickly soaks into the skin without leaving a greasy or sticky residue. Now that’s what I call winning! Glow brighter than your Christmas tree with LUMA Crushed Pearl Facial Polish. 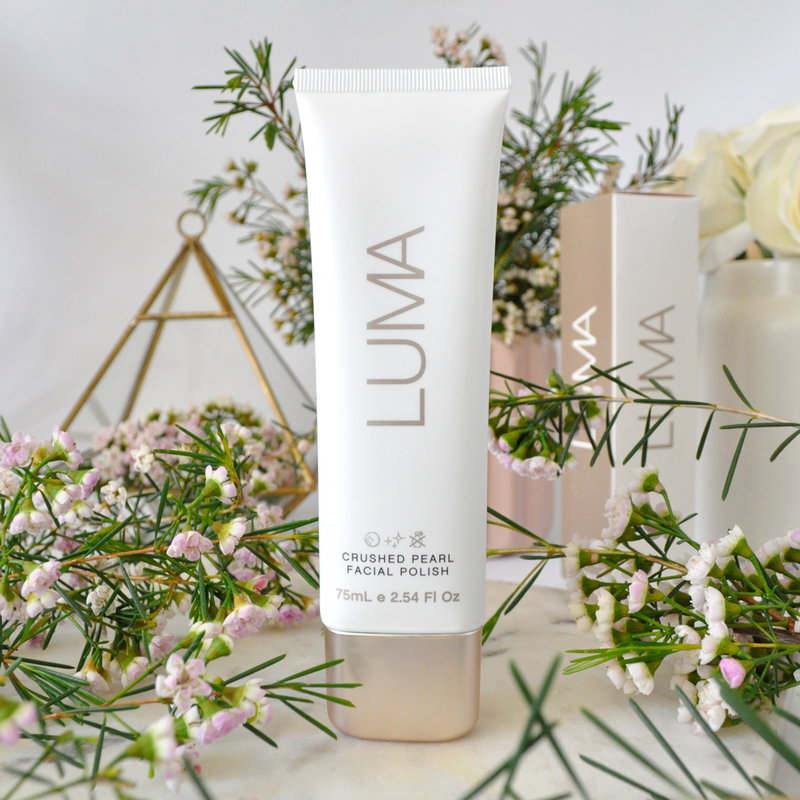 This luxe spa-like exfoliator buffs and polishes the skin using finely crushed pearls, whilst a nourishing blend of Grape Seed Oil, Camellia Sinensis Leaf Extract, Soybean Oil work to nourish, energise and purify skin for a smooth canvas and lust-worthy glow. This beautiful facial polish is a must-have glow-inducing skincare essential. Good hair care is essential all year long! 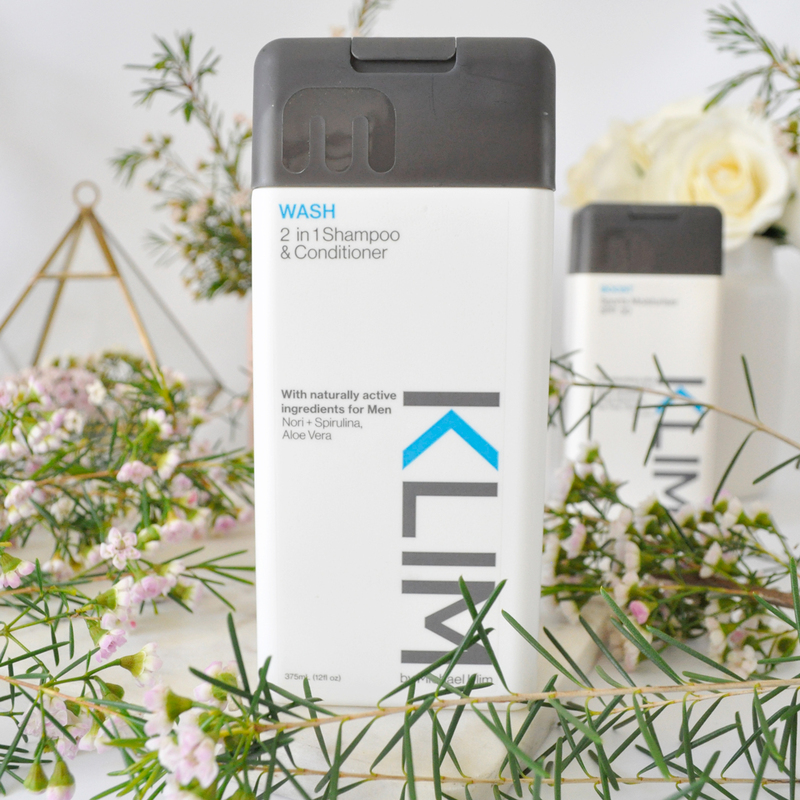 KLIM Wash 2 in 1 Shampoo and Conditioner is ideal for the time-efficient man in your life. The gentle formula is enhanced with Aloe vera, Nori and Spirulina. Its perfect for cleansing hair from the roots to the tip, nourishing fine hair, adding body and shine while simultaneously preventing tangles and static. 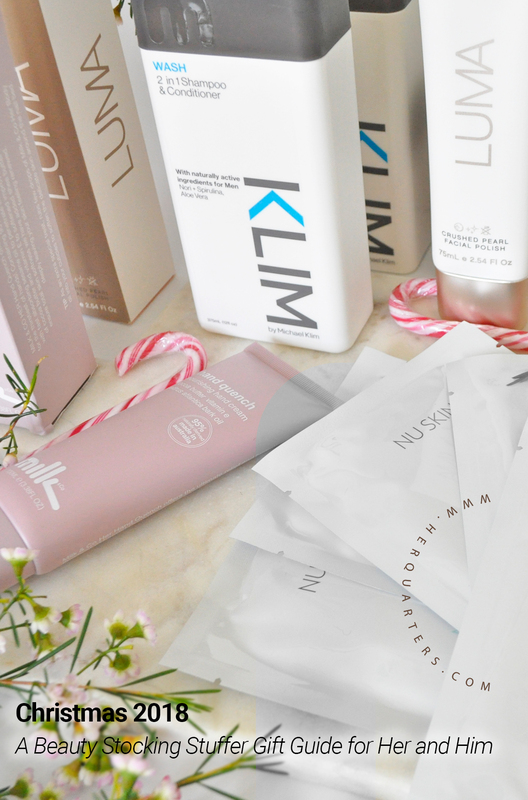 Give the gift of new life to dull hair this year, hair care never looked or felt better! Have you started your Christmas shopping yet? 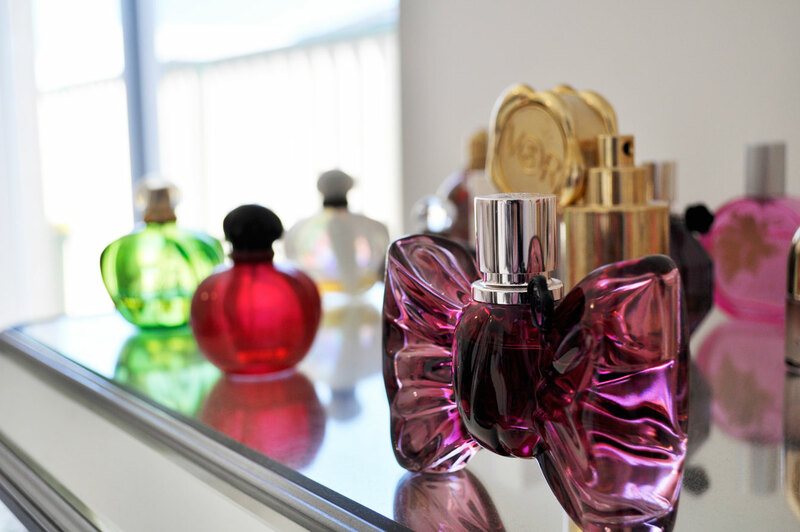 What are some of your favourite stocking stuffers? Let me know in the comments below! So many good choices! I love the sound of that hand cream! The hand cream is pretty amazing and the packaging is goals! I haven’t seen or heard of any of these products before but they look fab! So many great picks! The Nu Skin Recovery Mask looks perfect for my mum and Luma Facial Polish sounds divine for me. I love that hand cream, it is so good! I did quite a bit of my Christmas shopping during the Black Friday sales. These are some great picks you’ve recommended! I love the looks and sounds of that Hand Quench!! !